Vine ripened, homegrown flavor year round! 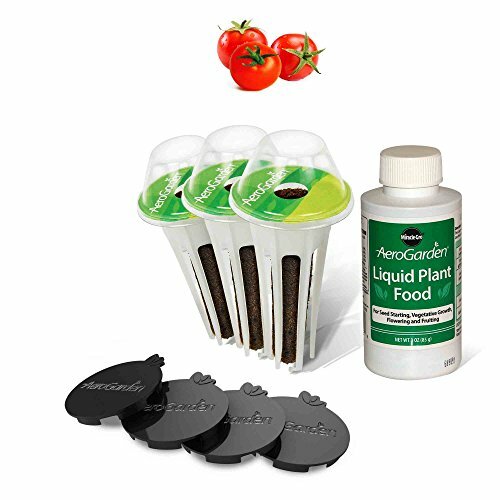 The Red Heirloom Cherry Tomato Seed Pod Kit comes with everything you’ll need to grow fresh tomatoes in your AeroGarden and we’ve carefully selected varieties proven to produce. 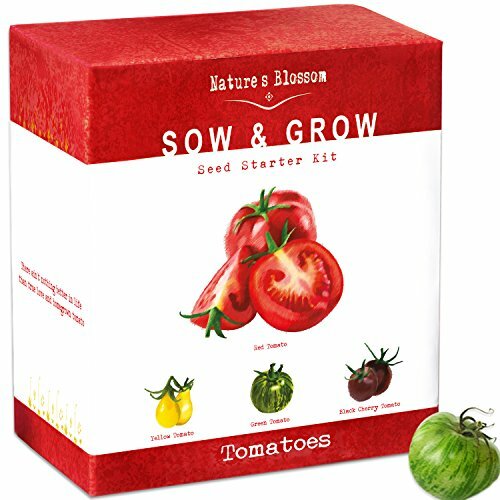 Vegetable plants require more growing space and best results are achieved when no more than three Seed Pods are planted in a 6/7 Pod garden; this Kit contains three (3) Seed Pods and four (4) Plant Spacers so your tomato plants have ample room to grow and thrive without overcrowding. Our Red Heirloom Tomatoes were specially selected for their high output of great tasting cherry tomatoes grown in your AeroGarden, any time of year! Plants grow 12-18” tall. Tomatoes do not appreciate cold weather, ensure warm temperatures either by planting well after the last frost, or by starting indoors. Plant 1/4" deep in full sun and well-drained soil. Keep soil moist. Once plant is established water once per week. This annual plant will mature in about 60 days. Fun and flavor from the worldÕs smallest tomato plant! 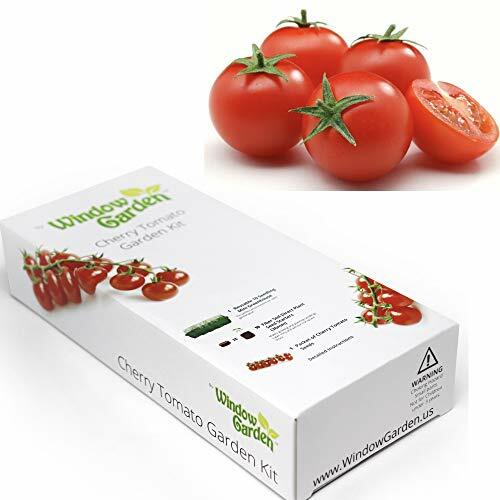 The Mighty Mini Cherry Tomato Seed Pod Kit comes with everything youÕll need to grow fresh tomatoes in your AeroGarden and weÕve carefully selected varieties proven to produce. 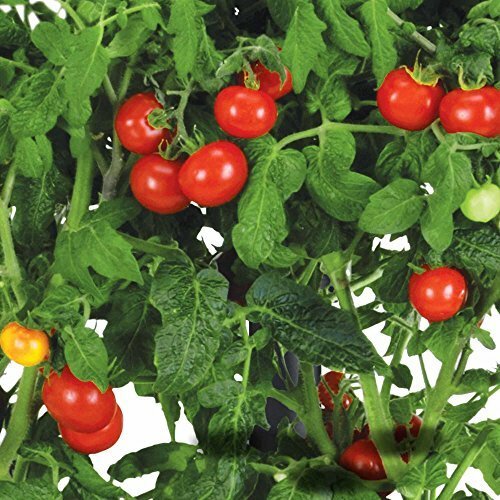 Very prolific tomatoes are produced on dwarf-sized plants (5Ó- 6Ó) that bloom early and keep producing month after month. Small, tasty fruits are great for snacking or in salads. This self-watering planter lets you grow organic vegetables right on your windowsill while only watering once a week! Your planter is created with nutrient-rich soil that gets tested for maximum plant growth. Vine ripened, homegrown flavor year round! 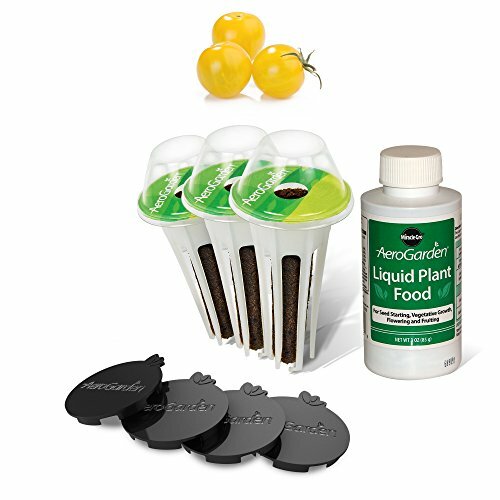 The Golden Harvest Cherry Tomato Seed Pod Kit comes with everything you’ll need to grow fresh tomatoes in your AeroGarden and we’ve carefully selected varieties proven to produce. 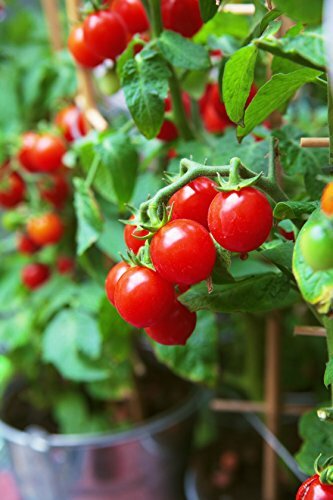 Vegetable plants require more growing space and best results are achieved when no more than three Seed Pods are planted in a 6/7 Pod garden; this Kit contains three (3) Seed Pods and four (4) Plant Spacers so your tomato plants have ample room to grow and thrive without overcrowding. Our Heirloom Golden Harvest Tomatoes ripen to a bright yellow with a very sweet flavor. Excellent for adding color to everyday salads and they contain a lower acid content than red tomatoes. Many of us are growing more of our own food these days to save money and provide healthy vegetables for our table. So it makes sense that a lot of us are discovering the difference fresh vegetables, herbs and fruits can make. What's better than a kitchen-vegetable garden right out of your backdoor? Plant your own cherry tomato garden today. It's easy and all in one package! Some are organic, some are heirloom, some are organic heirloom and all are open pollinated which means they will reproduce themselves. Each seed is packaged in its own pack with its own set of instructions. Also included is the famous David's Garden Seeds' 4 inch ruler to help you plant them at the correct depth and a set of germination tips. Each set is packed in a foil package that has a zip-lock seal. Then each foil package is placed inside a plastic bag for protection during storage and shipping. David's Garden Seeds is a Veteran owned business that has been providing quality seeds since 2009. 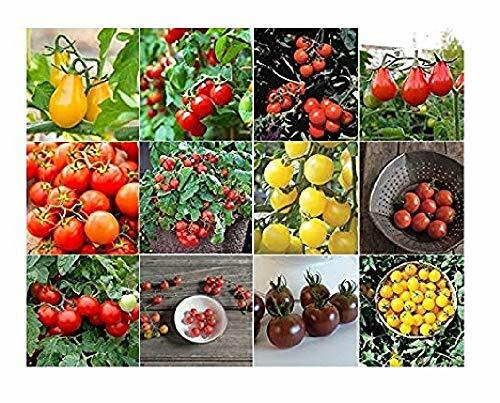 Packet contains 50 seeds each of the following: Black Cherry, Currant Red, Glacier, Gold Nugget, Red Pear, Matt's Wild, Red, Sweetie, Washington, White, Yellow Pear and Tiny Tim. Intense fruity flavor. Exceptionally sweet, bright tangerine-orange cherry tomatoes leave customers begging for more. Vigorous plants start yielding early and bear right through the season. Tendency to split precludes shipping, making these an exclusively fresh-market treat. The taste can't be beat. 15-20 gm. fruits. High resistance to fusarium wilt and tobacco mosaic virus. Indeterminate. David's Garden Seeds is a Veteran owned business that has been offering quality seeds since 2009. Looking for more Grow Cherry Tomatoes Seeds similar ideas? Try to explore these searches: Blanket Coat, Touch Clear Silicone Skin, and Military Sniper Rifle Gun Paintball. Look at latest related video about Grow Cherry Tomatoes Seeds. Shopwizion.com is the smartest way for online shopping: compare prices of leading online shops for best deals around the web. 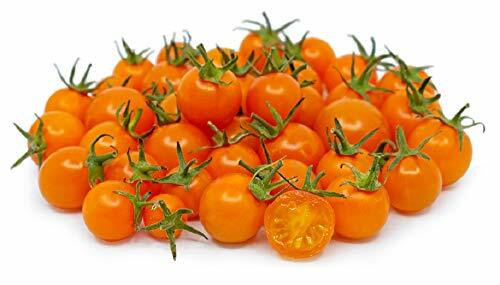 Don't miss TOP Grow Cherry Tomatoes Seeds deals, updated daily.